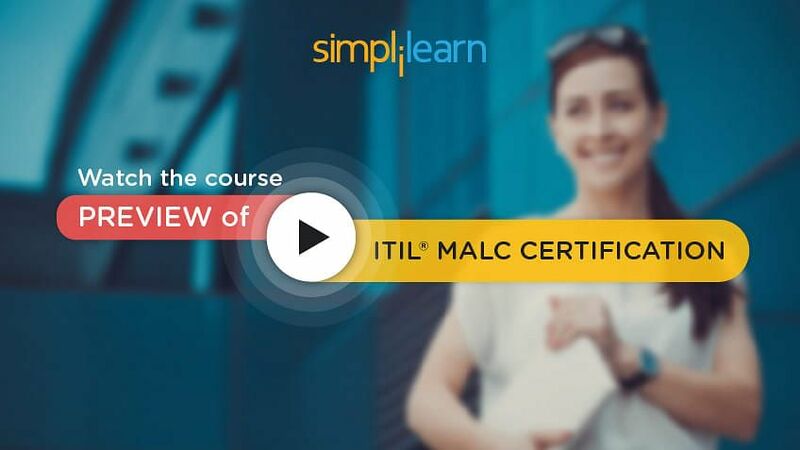 Welcome to the seventh chapter of the ITIL MALC tutorial (part of the ITIL Managing Across the Lifecycle Certification Course). The decision of implementing a formal service management based on the best practice frameworks is by itself a very crucial decision for an organization. This requires an understanding of the high level, long-term goals of the organization and selecting an appropriate approach for implementation. An assessment of the current status and maturity level, preferably through a formal assessment model is essential before implementation and regularly thereafter. A culture of continual improvement should be integrated at all levels of the organization and all improvement initiatives should be systematically managed. We shall explore all these topics in this learning unit. Service management is defined as a set of specialized organizational capabilities for providing value to customers in the form of services. Implementing service management is by itself a strategic decision and one of the objectives of service strategy is to transform service management into an organizational strategic asset. It is a key improvement initiative for the organization as a whole and hence business needs to be involved in such decisions. This will ensure delivering the intended value to a business. The first step in implementing service management is to understand the high-level goals and objectives of the organization. IT managers must invest time to understand specific business goals and objectives. Successful strategies are typically anchored around the business vision, mission and core values. This ensures that IT service management is aligned with business goals and will serve the desired business outcomes. The next step is to identify the organizational aspects that drive improvements such as the implementation of service management in an organization. These drivers may be classified as external and internal drivers. External drivers represent aspects that are external to an organization such as regulation, legislation, competition, external customer requirements, market pressures, and economics. Internal drivers are aspects that are internal to the organization such as organizational structures, culture, knowledge, technologies, skills, existing and projected staffing levels, union rules etc. Let us discuss the implementation of service strategy next. Service strategy defines the perspective, position, plans, and patterns that a service provider needs to execute to meet an organization’s business outcomes. It determines how the service lifecycle functions and how services are designed, transitioned, operated and improved. The first activity is to 'set up the implementation strategy'. This involves defining a formal strategy for service strategy implementation. A project management approach should be followed with clearly identified objectives and goals. The first step is to perform a current state assessment wherein the current organizational environment is analyzed. This is followed by defining the intended or target state to be achieved. This involves identifying and documenting the strategic perspective and position of the organization. A gap analysis is then performed to identify the gap between the current state and the desired target state. A project with specific activities for closing the identified gaps is initiated. This includes estimating and documenting the project scope, costs, resource requirements and interdependencies. The next step is 'project consolidation', wherein the governance, people, technologies, and processes are identified and confirmed. Finally, the roadmap showing a time-bound action plan for achieving the desired state is created and published. The next activity is ‘designing service strategy’. This may also be a phase of the project that has been established in the previous activity. During this phase, the detailed requirements are collected and the service strategy related processes, tools, and organizational structure will be designed. In general, the areas covered during this phase include designing of processes and tools, the definition of roles, a standard for defining service models and identification of interfaces with other processes. The next activity is ‘transitioning service strategy’. This is where the designs are converted into implemented and tested solutions. This involves building, testing and deploying the processes and tools. In some cases, the tools may also be purchased and customized as required. Training project teams and users on tools and processes and performing post-implementation reviews are also part of this activity. The next stage is ‘operating service strategy’. During this stage, the activities include execution of process activities, maintenance of the tools used and monitoring the performance of the processes. Identifying and resolving process issues and exceptions and monitoring the overall success of the strategy, services, and customer relationships gain more focus and priority. ‘Continual improvement of service strategy’ is an on-going activity and involves assessment of the metrics of all processes and evaluation of the effectiveness and efficiency of these processes. Opportunities for improvement are identified and implemented. A continuous evaluation of the strategy and services is performed to verify if they are meeting the set objectives and goals. Let us discuss how to assess service management in the next section. Regular assessment of service management is essential from a number of perspectives. It is essential for ensuring alignment to changing business requirements, measuring the maturity levels of the organization, processes, people, and technology and to keep pace with changing technology and external environmental trends. In the next few sections, we shall discuss the various methods, tools, and standards available for assessing service management. Let us start with the strategic assessment. The main purpose of strategic assessment is to determine the service provider’s current status and to identify the likely impact of changes and trends in the foreseeable future. Constraints and risks in achieving the set goals or in adapting to changes and trends are also identified and highlighted for enabling appropriate action. Strategic assessment basically analyses the internal environment and the external environment. We shall now see what constitutes these two environments and what aspects of these two environments will be assessed as part of the strategic assessment. The internal environment represents the service provider’s own organization. The existing services delivered by the service provider that represents its distinctive capabilities and core competencies. The financial status and performance indicate how the service provider contributes to the achievement of business outcomes. It includes an analysis of the cost of services and the return on investment as well. The human resources of the service provider’s organization. For this aspect, the skills and capabilities and how they are sourced are assessed. In addition, the assessment should also cover the quality of training, recruitment, management, compensation, succession planning and labor relations. Another important aspect is ‘operations’. The assessment here focuses on the efficiency and effectiveness of the organization in supporting and delivering services and in managing the technology on which the services are based. For internal service providers, the relationship with the business units is an important aspect to be assessed. Understanding the customer’s strategy and requirements and how these are supported by the service providers are key elements here. The current resources and capabilities of the service provider and how they are utilized. And, the existing projects that may change or impact the above aspects of the organization. Let us now move on to the external environment. For a service provider, the external environment is basically the outside world with which the service provider’s organization interacts. The assessment of the external environment should include the following aspects. Industry and market analysis focusing on the sourcing models, management methods and technology trends and practices in the service provider’s industry. Understanding the customers, their strategies, challenges, and opportunities. The services used by them and the level of relationship with them should also be analyzed. The suppliers, their products and services and the forecasted changes are important here. If the organization is partnering with other organizations, then their strengths, opportunities, obligations, and responsibilities should be included in the analysis. One aspect that cannot be ignored is ‘competitors’. Their differentiators, cost-efficiency, quality and market share are the areas to be analyzed. Legislations and regulations that impact the way the service provider’s organization operates and the compliance with standards and frameworks should also find a place in the assessment. The political situation and the fiscal policies that may impact the service provision or the organization’s performance must also be assessed. The next aspect is the socio-economic condition of the region where the service provider operates. The cultural changes, economic forecasts, and demographic trends should be considered as far as they have relevance to the operations of the service provider. Last but not the least is the ‘technology’, trends and innovations happening in the service providers industry. This will majorly influence the way services are designed, built and delivered. Moving on, next we will look into SWOT analysis. SWOT analysis is a simple but effective assessment technique. It has survived the test of times and has found application in a number of diverse areas and management frameworks. Let us understand this technique in more detail. It may be noted that in the previous section we discussed the internal environment and the external environment. The different aspects discussed in these two categories can be mapped directly to the four areas of this technique. Once the strengths, weaknesses, opportunities, and threats are identified and analyzed, appropriate actions should be taken. The actions should focus on transforming the organization and making it more efficient. Now let us look at the actions to be taken based on the analysis. The strengths represent the capabilities and core competencies of the organization. Hence they should be further developed. The organization should also try to exploit and capitalize on these strengths. The weaknesses are the cause of the inefficiencies, issues, and risks within the organization. Hence, the action required here is to reduce, minimize or remove the weaknesses identified. The opportunities identified from the external environment can help the organization to grow and capture unserved and underserved markets. It also helps in developing appropriate strategies. Hence, the action required is to take maximum advantage of the opportunities available. External environment also poses a number of threats. It is essential to manage, mitigate and eliminate the threats that may negatively impact the organization. SWOT analysis has a number of unique advantages and diverse applications. It can be performed quickly and can be used to target a specific area rather than looking at the entire enterprise. 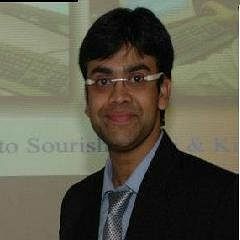 Service management should build the capability to use this technique and take appropriate actions proactively. Now that we understand what SWOT analysis is, let us look into gap analysis. Another commonly used tool is ‘gap analysis’. Gap analysis is a business assessment tool enabling an organization to compare where it is currently and where it wants to go in the future. This tool can be used to assess a specific aspect of the organization or the organization as a whole. The key output of this analysis is a ‘gap analysis report’ which provides the organization with insight into areas which have room for improvement. Benchmarking and industry standards represent the expected level of performance. Assessments, in particular, maturity assessments, enable the organization to know its current position. The comparison between the benchmarks or standards and current capability represents the ‘gap’. The gap analysis process may also involve determining, documenting and approving the variance between business requirements and current capabilities. It may also be used in areas like business direction, processes, human resource capabilities or technology. Gap analysis provides a foundation for how much effort in time, money and human resources is required to achieve a particular goal or move to a higher maturity level. Plans can then be created and resources allocated for implementing the improvements. Conducting a process maturity assessment is one way to identify service management improvement opportunities and know how the organization compares to the other organizations. It also demonstrates the level of management commitment to improve and to enhance organizational capabilities. In the next section, we will understand the core principles of service management. Aligning service assets, services, and business outcomes is the core principle around which service management is designed, implemented and maintained. The service provider needs to ensure that its service assets are coordinated, controlled and deployed so that they can provide the services at the agreed levels. Strategy management is responsible for ensuring this and should have the clear knowledge of the service assets owned, their location and how they are deployed and utilized. The service provider needs to be able to articulate the services being provided, and also clearly define the customers it serves. Service portfolio contains this information along with the business outcomes that each service enables. It also maintains information on the service owners and the teams involved in delivering and supporting the services. The service provider needs to be able to decide how the services will be delivered. This is basically achieved through service design wherein the architecture and service models are produced and processes are defined. Service portfolio management plays an important role in how assets are allocated, deployed and managed. Together with configuration management, it establishes and documents the relationship between service assets, services, and business outcomes. Now that we discussed the principles, we will move on to the concept of assessments. There are a number of assessment frameworks and models available for assessing the process environment or the complete organization. Let us discuss some basic aspects of assessments. Assessments are the formal mechanisms for comparing the operational process environment to the performance standards. The performance standards are generally found in best-practice frameworks such as capability maturity model integration, control objectives for information and related technology, ISO/ IEC 20000 and others. Assessments are conducted to measure the current capability or the improved process capability after implementation of standards or initiatives or to identify potential shortcomings that could be addressed. One of the objectives of assessments is to identify the elements of a process or process organizations that impact the efficiency and the effectiveness of the process. A well-designed maturity assessment framework evaluates the viability of all aspects of the process environment— people, processes, and technology as well as factors affecting overall process effectiveness within the business. Assessments involve costs, effort, and management focus. Hence, it is not just enough to conduct assessments, but the real benefits can be reaped only by demonstrating a commitment to implement improvements identified. There are both advantages and risks involved while conducting formal service management assessments. Let us discuss what they are. Assessments are an effective method to determine ‘where are we now’? This could be in comparison with a set baseline, benchmark, set targets or industry standards. Understanding the performance of existing services and the effectiveness and efficiency of service management processes is essential to identify the gap between ‘where we are?’ and ‘where we want to be’. Let us now look at the advantages and risks associated with conducting formal service management assessments. Assessments can provide an objective perspective of the current operational process state, compared with a standard maturity model and a process framework. They enable an accurate determination of any process gaps, suitable recommendations and action steps planned. A well-planned and well-conducted assessment is a repeatable process. Thus, it enables the conducting of assessments regularly and to measure the progress over time. They also help in establishing improvement targets and objectives. By using a relevant assessment framework or maturity model, assessments support comparing company process maturity to industry benchmarks. This ensures that the organization remains competitive and keeps pace with changing trends. Now let us look at the risks that may arise due to assessments. An assessment provides only a snapshot in time of the process environment. There is a possibility that some critical aspects are not considered. Also, the assessment may not reflect current business dynamics, process operational issues or organizational or management deficiencies. If the assessment process is outsourced, the assessment and maturity framework can be vendor or framework dependent. In such cases, the proprietary nature of the model makes it difficult to compare to industry standards. One major risk is that the assessment can become an end in itself rather than the means to an end. In other words, organizations may improve processes just for the sake of achieving maturity targets rather than systematically measuring and improving process effectiveness and efficiency. Assessments becoming too labor-intensive and more objective in nature are some of the other key risks relating to formal assessments. The next section contains a graph which would help to determine the maturity level of the processes required to derive the expected value for the business. Let us try to find the answer with the help of the diagram given below. The x-axis represents the maturity level of IT processes and Y-axis represents the value of the process to the business. This discussion is around an organization strategically planning to provide products and services on the web. We set the context for three important service management processes namely capacity management, availability management and service level management. It is assumed that the maturity levels for these three processes have been determined and plotted on the graph based on a formal assessment. 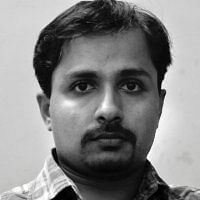 In the current scenario of web-enabled services, the expected value of these three processes to the business is very high. Availability of website and the related applications are of high importance for this organization, to execute the business processes and transactions. Availability is directly dependent on the capacity of the infrastructure. If the maturity of these processes is low, which is true in this case, the organization is putting itself at high risk. We can also see that the maturity level of service level management is also low. This indicates that there are deficiencies in collecting business requirements, monitoring of services and service level agreements and that the measurement systems are weak. Thus the value to the business from this process will also be low. Following two inferences can be made from this graph. If a process is immature but the business heavily depends on it there is a significant risk to the organization. If a process is very mature yet provides very little value to the business, then the organization may be over-investing resources and money. Next, we will move on to ISO/IEC 20000(pronounce as I-S-O-I-E-C 20000). ISO/ IEC 20000 is the first internationally recognized standard for IT service management covering service providers who manage and deliver IT-enabled services to internal or external customers. It was introduced in December 2005 by International Standards organization and is aligned with other ISO management systems standards like ISO 9001. ISO/ IEC 20000 promote the adoption of an integrated process approach to effectively deliver managed services to meet business and customer requirements. The best approach to achieving the requirements of this standard is by adopting ITIL best practices. This standard is based on ‘service management system’ which directs and controls the service management activities of the service provider. A service management system consists of policies, objectives, plans, processes, documentation and resources required to design, transition, deliver and continually improve services. This standard covers a number of IT service management processes including IT security, business relationship management, and supplier management. Conformance to ISO/IEC 20000 provides a competitive advantage to organizations and helps drive down costs, improves quality and continuously meet changing business requirements. 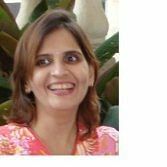 Let us learn about capability maturity model integration or CMMI in the following section. Capability maturity model integration is a process improvement approach developed by the Software Engineering Institute of Carnegie Mellon University. Currently, it covers three areas. CMMI provides guidance for developing or improving processes that meet the business goals of an organization. In other words, it provides organizations with the essential elements of effective processes. It can be used to guide process improvement across a project, a division or an entire organization. Processes are rated according to their maturity levels, which are defined as Initial, Repeatable, Defined, Quantitatively Managed, and Optimising. A CMMI model may also be used as a framework for appraising the process maturity of the organization. organizations can be assessed against the CMMI model using “standard CMMI appraisal method for process improvement”, in short, known as SCAMPI. In this section we learned about CMMI, next we will look into COBIT or control objectives for information and related technology. COBIT stands for “control objectives for information and related technology” and is created by Information Systems Audit and Control Association and the IT Governance Institute. It provides globally accepted principles, practices, analytical tools and models to help increase the trust in and value from, information systems. COBIT is a business framework for the governance and management of enterprise IT. It helps enterprises create optimal value from IT by maintaining a balance between realizing benefits and optimizing risk levels and resource use. It helps organizations to maintain high-quality information to support business decisions and achieve strategic goals and realize business benefits through the effective and innovative use of IT. 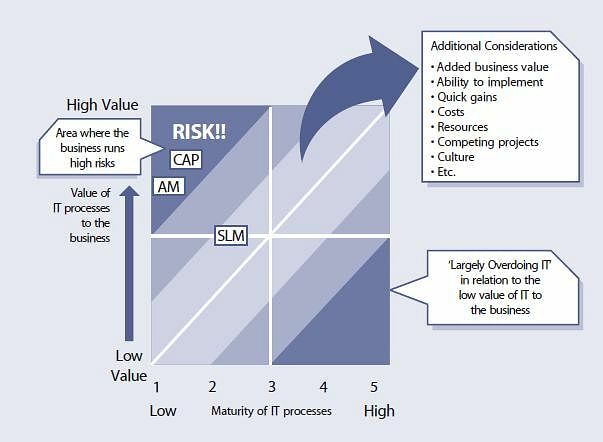 COBIT focuses on defining the IT controls needed to minimize risks and add business value. It also supports compliance with relevant laws, regulations, contractual agreements and policies. COBIT maturity models can be used to benchmark and drive continual service improvement. It provides guidance on how goals and metrics can be aligned with the business goals for IT and how they can be used to create an IT management dashboard. Moving on, let us understand the concept of six sigma. Six Sigma is a set of tools and strategies for process improvement originally developed by Motorola in 1985. It focuses on dramatically reducing process variation using statistical process control measures. Six Sigma seeks to improve the quality of process outputs by identifying and removing the causes of defects or errors and minimizing variability in manufacturing and business processes. The fundamental objective is to reduce errors to fewer than 3.4 defects per million executions. There are two primary sub-methodologies within six sigma DMAIC and DMADV. DMAIC stands for define, measure, analyze, improve and control. DMAIC is an improved method for existing processes for which performance does not meet expectations or for which incremental improvements are desired. DMADV is used for projects aimed at creating a new product or process designs. The next concept we will learn is benchmarking. Benchmarking is a specific type of assessment and is a process used in strategic management. In this assessment method, organizations evaluate their processes in comparison with the best practice followed in their industry or sector they operate in. Organizations should plan their benchmarking process based on their improvement needs and should understand that this may require measurement of other companies as well. These measurements may or may not be available. Some industry or market research organizations may publish certain industry measurements and figures. It should be analyzed as to how far this information is relevant and what adjustments should be made to meet the organization’s actual improvement needs. Thus, benchmarks will only be useful and relevant when the comparison is of the same performance measures or indicators and is with organizations of similar size, industry, and geography. Benchmarking may be a one-time occurrence, but it is often treated as a continuous process in which organizations continually seek to challenge their practices. This is essential to align the organization and service management performance with changes and trends in environments, management practices, and technology. Regular or periodic benchmarking exercises and reports should clearly show the gaps, identify the risks of not closing the gaps and should facilitate prioritization of improvement activities. Benchmarking is actually a logical sequence of stages that an organization goes through to achieve continual improvement in its key processes. It requires senior management’s support and cooperation from all concerned. Benchmarking teams should be set up and training and guidance should be provided as required. Involvement of process owners is essential as the comparison with industry best-practices is basically about processes followed. Now that we understand what benchmarking is, let us move on to its different approaches. While there are a number approaches that may be adapted for performing a benchmarking exercise, an effective way of doing so is through the seven-step improvement process. We shall now discuss this approach to benchmarking. The first step is to ‘identify the strategy for improvement’. In this step, the business need for the benchmarking initiative will be identified and clearly documented. Based on this the vision and strategy for the initiative will be defined. The strategic, tactical and operational goals, as applicable will be stated, documented and published. The second step is to ‘define what you will measure’. Based on the scope defined in the first step, the measurements required for benchmarking will be identified. This stage involves the following activities. Select the broad service or service management process or function to benchmark. Draw up a preliminary list of potential benchmarking partners. Identify possible sources of information and methods of collection to confirm the suitability of potential partners. Within that process, define the activities to be benchmarked. Identify the resources required for the study. Confirm the key performance measures or indicators to measuring the performance in carrying out the activity. Document the way the activities are currently completed. Agree with the plan and its implementation. The third step is to ‘gather the data’. This involves Collection of information about various benchmarking organizations available. This is to enable identifying the most likely potential benchmarking partner to contact. The fourth step is to ‘process the data’ collected in step three. All the data collected regarding benchmarking organizations will be properly compiled to enable comparison, analysis, and identification of key parameters based on which the selection can be made. The fifth step is to ‘analyse the information and data’. Confirm the best potential benchmarking partner and make a preliminary assessment of the performance gap. Establish contacts and visits, if appropriate, to validate and substantiate the information. Compare the existing process with that of the benchmarking partner to identify differences and innovations. Agree with targets for improvement that are expected as a result of adopting the benchmarking. The sixth step is to ‘present and use this information’. Communicating the results of the study throughout the relevant parts of the organization. Planning how to achieve the improvements identified as a result of the benchmarking exercise. Now the seventh and the final step is to ‘implement improvement’. The whole purpose of the benchmarking exercise is to identify and implement improvement to move the organization to industry maturity levels or to comply with industry best practices. Review performance when the changes have been embedded in the organization. Identify and rectify anything which may have caused the organization to fall short of its target. Communicate the results of the changes implemented by the organization and the benchmarking partner. Consider benchmarking again to continue the improvement process. As stated earlier, it is recommended to perform benchmark assessments on an on-going basis. This facilitates valuable metrics and trend analysis leading to improvements and corrective actions as early as possible to maximize performance gains. Next, we will discuss CSI register. An organization’s culture influences the way improvement suggestions are managed. An encouraging environment enables capturing and processing improvement opportunities in a systematic way. Continual service improvement, service level management, other processes, and functions may come up with a number of improvement suggestions and opportunities. CSI register is maintained to record all the improvement opportunities. Every improvement opportunity recorded in the CSI register should be categorized into small, medium or large undertakings. What falls under each of these categories should be clearly defined and documented to avoid any ambiguity or conflicts. Additionally, the improvement opportunities recorded should be categorized into initiatives that can be achieved quickly or in the medium term or long term. Here again, the timelines for quick, medium term and the longer term should be defined and agreed. Each improvement initiative should also show the benefits that will be achieved by its implementation. The designated authority or team will consider the above information along with the goals, objectives and return on investment to prioritize the improvements. Thus, the CSI register will introduce a structure and visibility to continual service improvement ensuring that all initiatives are captured and recorded and benefits realized. These benefits are also measured to confirm if the desired or anticipated results have been achieved. These benefits are also measured to confirm if the desired or anticipated results have been achieved. The CSI register provides a coordinated, consistent view of the potentially numerous improvement activities and the CSI manager should be accountable and responsible for the production and maintenance of this register. Now that we understand CSI register let us look into a sample in the next section. The table on this section is a sample CSI register. This is a simple representation and each organization should identify and evaluate its own requirements and make suitable modifications to this format to suit their own needs. Please spare a few minutes to explore this table and also try to relate to the concepts discussed in the previous section. The CSI approach addresses six questions; these are represented diagrammatically in the next section. One of the best techniques for improving service management is to use the continual service improvement approach. It is a simple, systematic and effective approach for identifying and implementing improvements. The continual service improvement approach involves addressing six questions. The answer to this question enables getting a clear understanding of the ultimate and long-term aims of the initiative. It enables ascertaining the high-level business objectives and ensures alignment between business and IT strategies. This involves assessing the current situation in terms of the business, organization, people, and processes. This could be addressed through assessments or benchmarking exercise and acts as a baseline for the implementation or improvement initiative. This step involves defining the future desired state and agreeing to the priorities for improvement. This involves defining SMART objectives— specific, measurable, achievable, relevant and time-bound. This involves developing a detailed plan of how to move from the current state to the achievement of the agreed improvements and then to the execution of the plan. Measurements and metrics need to be put in place to show that the milestones have been achieved and that the business objectives and business priorities have been met. If a gap still remains, actions will be taken to close the gap. How do we keep the momentum going? The on-going step is to consolidate the improvements achieved and keep the momentum going. This involves educating and motivating people and making improvements ‘a way of life’ in the organization. This diagram above represents CSI Approach in detail. Edwards Deming propounded the Plan-Do-Check-Act approach, popularly known as Deming Cycle or PDCA Cycle, for quality improvement. The PDCA cycle has become a fundamental part of many quality standards and management frameworks including ISO/IEC 20000, PMP, ITIL and others. The PDCA cycle can be used for service management implementation as well as for service improvements. The cycle is underpinned by a process-led approach to management. The processes are defined and implemented; process activities are measured for compliance with policies and set targets, and outputs are audited to validate and improve the process. The PDCA cycle establishes a clear pattern for service improvement efforts. The four key stages of the cycle are a plan, do, check and act. This is followed by a phase of consolidation that prevents the circle from rolling back down the maturity level achieved. Let us understand these four stages in more detail. The first stage is to 'plan' and involves establishing goals for the initiative or improvement. It includes performing a gap analysis, defining action steps to close the gap and establishing and implementing metrics and measurements to ensure that the gap has been closed and benefits achieved. The next stage is to 'do'. This stage is concerned with the development and implementation of a project to close the gap. The actual implementation or improvement of processes and establishing the smooth operation of the processes also happens during this stage. The third stage is to 'check'. This involves comparison of the implemented environment to the measures of success established in the planning phase. The comparison determines if a gap still exists between the improvement objectives of the process and the operational process state. The final stage is to 'act'. This involves determining if further work is required to close remaining gaps and allocation of resources is necessary to support another round of improvement. Project decisions at this stage are the input for the next round of the lifecycle, closing the loop as input to the planning phase. The diagram below represents Deming cycle. We will now understand how adopting the seven-step improvement process can assure CSI. Adopting the seven-step improvement process is another way to assure continuous improvement of the services and service management domain. Fundamental to continual service improvement is the concept of measurement. The performance of the IT services and the organization are continually measured by this process and improvements are identified and implemented to processes, IT services, and IT infrastructure in order to increase quality, efficiency, effectiveness and customer satisfaction. This process has been discussed in detail earlier in Chapter-6 on ‘Measurement’. Let us learn about ROI in the following section. Service provision involves investment in-service assets. Service economics analyses the relationship between the cost of providing services, the value of the outcomes achieved and the returns, in financial terms, received by the service provider. Return on investment, commonly known as ‘ROI’ is a concept for quantifying the value of an investment. It is a measurement of the expected or actual financial benefit on investments made for providing services. Financial management is responsible for computing the return on investment. In its simplest form, the return on investment is calculated as ‘increase in profit resulting from the service’ divided by ‘total investment in the service’. Return on investment calculations and analysis should focus on three important areas. The first one is ‘business case’. A business case is a means of identifying and justifying business imperatives that depend on service management. The second area is ‘pre-programme ROI’. This is a financial management technique for quantitatively analyzing an investment in service management before a service or project is initiated. The third area is ‘post-programme ROI’. This is also a financial management technique for retrospectively analyzing an investment in service management. Let us now discuss these three areas in more detail. A business case is a decision support and planning tool that projects the likely consequences of a business action. The consequences can be represented in qualitative and/or (pronounce as and or) quantitative forms. The table in this section represents a simple business case. The structure of a business case may differ from organization to organization, but the elements shown in this table represent the key ones and should invariably be included in a business case. It is essential to state the business objective in the introduction and include a detailed analysis of business impact or benefits of the improvement or initiative. A business objective is a reason for considering a service management initiative. Linked to the business objectives are the business impacts or benefits expected from the initiative. It is important to focus on both the financial and non-financial impacts of the proposed initiative. The business case should also clearly state the assumption made and boundaries of the proposed initiative. The risks and contingencies identified at this stage should be listed to enable an informed decision by the approving authorities. Finally, the team or person preparing the business case should provide their views and recommendations to the approving authority. Moving on, let us discuss the relationship between business impacts and business objectives. In the context of a business case, there is a straightforward relationship between business impacts and business objectives. We will now look at a couple of examples that illustrate this relationship. The diagram in this section represents how a single business impact might result in achieving multiple business objectives. The business impact of improved maintainability could result in reduced costs, as the service requires less staff time to resolve incidents, which in turn results in a lower investment in the service from the business and increased profitability. The market image of the organization is improved as service quality results in higher customer satisfaction and company performance. This, in turn, results in an improved ranking in industry survey results. In the next section, we will understand the business impacts. It is also possible that a number of business impacts might relate to one business objective. The diagram in this section represents this scenario. The positive business impacts of improved reliability by improving the mean time between failures; improved maintainability by improving the mean time to restore service; and improved service performance by enabling 24 by 7 placements of products online – are directed to achieving the sole objective of enhancing customer satisfaction. This improved customer satisfaction is measured by a percentage increase in repeat business from customers. It is therefore important to state the business impacts - both financial and non-financial and the business objectives they expect to achieve, in as much detail as possible in the business case. We will discuss the next focus area of ROI; namely, pre-programme ROI. Let us move on to the second focus area of ROI, which is the ‘pre-programme ROI’. As the name suggests, this is concerned with the financial analysis performed to estimate the return on the investments from the service management initiative being considered. This is performed before the project or the programme starts and hence the name. There are two important factors to be considered while computing the pre-programme ROI – capital budgeting and discounted cash flows. Organizations have to invest funds in projects that have long-term implications. Capital budgeting is the commitment of funds now, in order to receive a return in the future, in the form of additional cash inflows or reduced cash outflows. It should also be clearly understood that the investment on the project is made early, whereas the returns are received over a period of time later. The value of money spent today and the value of cash flows received over a period of time later will change due to inflation and currency fluctuations. This fluctuation in the value of income and expenditure over a period of time is known as discounted cash flow where decisions on a significant outlay of funds for projects and service management initiatives are involved, they are generally referred to as ‘capital budgeting decisions’. These decisions fall into two broad categories, namely screening decisions, and preference decisions. Let us first discuss the screening decisions. There could be a number of service improvements or service management initiatives identified and not all of them can be implemented. Constraints such as availability of financial resources and alignment to organizational objectives, determine if these initiatives should move forward. Screening decisions relate to whether a proposed service management initiative passes a predetermined hurdle or not. The screening decisions are usually made using the discounted cash flow technique of net present value method. Under this method, the discounted cash inflows are compared with the discounted cash outflows over a time period. The difference, called net present value, determines whether or not the investment is suitable. If the net present value is positive or sometimes even if it is zero, it will be considered. On the other hand, if it is negative, the investment proposal is likely to be rejected. Screening eliminates all the proposed initiatives and projects that do not meet the minimum set criteria. The next step is to select the initiatives that are more suitable for the organization and its objectives. This is known as ‘preference decisions’ and are concerned with choosing suitable initiatives from among several competing alternatives. The preference decisions are usually made using a discounted cash flow technique of internal rate of return method. The internal rate of return is the rate of return over the expected life of an initiative. It is computed by finding the discount rate that equates the present value of a project’s cash outflows with the present value of its inflows. In other words, the internal rate of return is the discount rate resulting in a net present value of zero. Therefore, the higher the internal rate of return, the more desirable is the initiative. In this section we discussed pre-programme ROI, let us now move on to post-programme ROI. We shall now discuss the third focus area of ROI – the ‘post-programme ROI’. All significant initiatives and projects should be subjected to a post-programme ROI analysis. This is essential to showcase the achievement of financial objectives and value added by service management. However, care must be taken to perform this analysis at an appropriate time after the implementation of the initiative, when the anticipated returns can reasonably be measured. We shall now discuss the approach to be adopted for performing the post-programme ROI analysis. The first step is to establish ‘programme objectives.’ The objectives should be clear and measurable. They generally cover areas like lowering the overall total cost of ownership, improving the quality of service, implementing industry-wide best practices, etc. The next step is ‘data collection.’ Appropriate and relevant data is vital for a valid and quantifiable ROI analysis. Data collected prior to implementation should be compared with the data collected after the implementation to enable a comparison of the two baselines. The third step is to 'isolate the effects of the programme'. Based on the data collected, a good understanding of the results of the project or initiative can be gained. The evident effects should be captured and documented. Techniques like forecast analysis, impact estimates, and control group may be adopted. The fourth step, ‘data to monetary conversion’, is critical to calculate the ROI. The impact data is converted to monetary values. Some examples are staff reductions or efficiency improvements converted to cost savings, and decreased downtimes converted to increase revenues. The fifth step is to 'determine programme costs'. This involves tracking and accounting for all costs related to the service management project or initiative. Next step is to 'calculate ROI'. Once the benefits and costs of the project have been determined, the actual ROI should be calculated and compared to the projected ROI in the original business case. The seventh step is to 'identify qualitative benefits'. While ROI represents quantitative benefits, it is essential to identify the qualitative benefits achieved by implementing the project. The final step is to 'communicate the results'. It is very important to publish and circulate the results to all concerned. The highlights of the achievements should be properly showcased and communicated at all levels of the organization to gain visibility and to prompt management support for future initiatives. The image above helps us understand the Post programme ROI. People are the most important assets of any organization. Implementation of organizational initiatives and changes will not be successful if people are not involved at the right level. Also, business managers and change agents must consider how organizational changes affect people and the emotional impact they may cause. The diagram below indicates the emotional stages that people need to get through before they can accept the change. As soon as a significant change is announced, people enter into an emotional stage of shock. This is mainly because the change has come as a surprise and people do not know how it is going to impact their jobs, growth and working environments. The next stage is avoidance, wherein they try to resist the change from being implemented or from being part of the change. This will sometimes result in increased efficiency. Then the performance drops as people start blaming the change initiators and service transition team for bringing in the change which, as they feel, is not required or relevant. This is followed by self-blame as insecurity and the threat of the situation is felt. People feel that they do not have the required skills or that they are not equipped for the new ways of working. Performance is lowest at this stage. This is followed by management effort, negotiations, and communications which lead to people accepting the change and being part of it. Performance shoots up rapidly with people actively involving and enhancing their skills and contributing to change activities. The doctrine here is that the quicker the service transition team can get individuals through the cycle, the shorter the timescales before acceptance and optimum performance. Appropriate communication and encouragement through these stages will drive individuals from low performance to high performance and enables active involvement and contribution to the change as well as to the organization. Moving on, we will learn about the different aspects of organizational change management. Changes are essential for organizational development and growth. Depending on their significance they impact the organization, its people, and its culture. Changes may be implemented in incremental phases or on a big bang basis. Changes should be properly managed and monitored efficiently across the organization and throughout the change process to ensure smooth transition and success of implementation. Let us now discuss the various aspects of organizational change management which include organization, roles, and responsibilities. Open and honest communication with people; and ensuring that connections and controls are identified to alert barriers and obstacles faced. Understanding the organizational culture: organizational culture represents the ideas, corporate values, beliefs, practices, and expectations about behavior and daily customs, that are shared by the employees in an organization. While initiating significant changes, it is important to gain an understanding of the type of culture currently existing in the organization and how this is likely to be affected by any proposed changes. This analysis helps in defining suitable service strategy for managing the change across the organization. One of the key activities within the organizational change management is to identify the changes required with respect to roles, processes, and relationships. Strategies and designs must be put in place to ensure appropriate changes to these aspects as well. Stakeholder analysis and management is also another important strategy to be adopted during the change process. Significant changes sometimes have a risk of focusing only on technical aspects and neglect the organization and people side of the change. Project plans should include these aspects as well and transition teams should incorporate all related activities in the transition and implementation plans. Again, adequate and appropriate level of communication is important throughout the implementation phase. Assessing organizational readiness for change: one of the best ways of assessing organizational readiness is by using a checklist covering all areas and verifying, that activities relating to these areas have been completed or achieved. The checklist should primarily cover the key aspects of people, skills, organization structure, roles and responsibilities, communication, risks and mitigation plans. Monitoring progress of organizational change: to ensure effective and successful organizational change, it is essential to conduct regular checks and surveys at various levels in the organization. The responses and feedback received should be analyzed and where required, issues must be addressed and concerned staff should be kept informed. This enhances employee and stakeholder satisfaction, commitment and involvement. Let us now discuss John P. Kotter's eight steps to transform an organization. We would have heard of a number of instances where critical and relevant organizational changes have failed. There are many approaches for organizational change management. John P. Kotter’s ‘eight steps to transforming your organization’ is a very popular approach. We shall discuss these eight steps now. The first step is to 'create a sense of urgency'. The aim of this step is to create awareness, seek adequate attention and gain commitment from all stakeholders concerned. The key question to answer at this stage is '‘what if we do nothing?’ and it should be answered from the perspective of different stakeholders. The next step is to 'form a guiding coalition'. The next question to answer is ‘do we have the right people on board?’ A senior manager alone cannot ensure the success of the initiative. It is essential to form a group with sufficient power to lead the change effort and work together as a team. This guiding coalition should ensure that the organization is motivated and inspired to participate. They should further gain full support from the stakeholders, including the business managers, IT staff, and the user community. The third step is to 'create a vision'. An appropriate vision statement serves four important purposes – it can clarify the direction of the programme; motivate people to take action in the right direction; coordinate the actions of many different people, and outline the aims of senior management. The guiding coalition should ensure that a vision statement is produced. The next logical step is to 'communicate the vision' to all stakeholders. All effective communication channels like organization’s newsletters, intranet site, posters, theme and team meetings, and seminars should be used to spread the message across. It should be motivating, inspiring and creating the necessary energy and commitment to buy into the change programme. The fifth step is to 'empower others to act on the vision'. This involves enabling people with the right tools, training, direction, and assurance that they will be given clear and unambiguous fixed goals. It also involves removing barriers and hurdles that may impact the progress of the change or its success. The next step is to 'plan for and create short-term wins'. Organizational initiatives and transformation take time and such projects can be of long durations. It is important to achieve and demonstrate short-term wins. They should be communicated and publicised to motivate and encourage people and to retain the support of influential stakeholders. The next step is to 'consolidate improvements and produce more change'. The success of short-term wins keeps the momentum going and creates more change. These will lead to medium- and long-term wins. As changes are consolidated, they result in a transformation of the organization that adopts a new culture and ways of working successfully. The final step is to 'Institutionalize the change'. The key aim of this stage is to establish that new working practices have produced real gain and benefits and to ensure that the improvements are embedded in all organizational practices. This is reflected in people adhering to processes and procedures and actively providing improvement suggestions. On the other hand, the service and process owners are motivated by their achievements and involve more actively in further organizational initiatives and growth. We will look into the key factors that need to be considered while planning and implementing service management tools. In today’s world, tools and technologies play a vital role in every aspect of enterprise management. This important component cannot be ignored while implementing service management. In fact, it is through tools that a number of service management activities are designed, implemented, monitored, measured and managed. There a number of factors that need to be considered while planning and implementing service management tools. One important factor to consider is the number and type of user licenses required by the organization for the integrated service management tool as well as other tools. The overall cost of these tools is driven by the licenses needed. Dedicated licenses are required by staff who use the module or application very frequently and for longer durations. Shared licenses are generally assigned to users who make regular use of the module or application but with significant intervals in between. Web licenses are suitable for staff requiring remote access, occasional access or usage of a small subset of the tool functionality. Service on demand is picking up more popularity in today’s IT industry. This is an arrangement wherein the supplier charges on the basis of time spent using the application. Access to the application or tool is given for a period of demand and then removed when it is not needed. Another important factor to consider is managing the ‘deployment’ of the tool and the client software. The deployment should be properly planned, tracked and executed. Where required, testing should be performed. The procedures for rebooting the devices and deploying to laptops and other portable equipment should be properly documented and executed. It would be a good practice to adopt change, release and deployment and configuration management processes for deploying the tools and client software. Performing capacity checks before deploying the tool is very essential. This involves ensuring that there are sufficient storage and processing capacity at target locations. Network capacity is also verified to establish if the current capacity meets the requirements for transmission of information, log files, client software and configuration files. The next important factor in deciding the ‘timing of deployment’. Implementation of tools should be, as far as possible, aligned to the maturity level of IT service management practices in the organization. Educating and training employees and users on the tool before deployment is an essential step for the success of the initiative. The training should be rightly timed to ensure effectiveness and utility of skills. If the training is provided too early, knowledge will diminish or be lost. A second training or refresher training may be required. Similarly, if the training is imparted too late, there is a possibility of damage to reputation and product strength. Another factor to consider is ‘type of introduction’ to be adopted – whether to go for a ‘big bang’ approach or a phased approach. Where tools are being replaced, data cleansing, validation, migration, and retention should be properly planned and executed. Let us summarise what we have learned so far in the next section.